A thumbnail of my Mother (far right on the picture and politically) with two brothers and two sisters. The bikes are both Rudge Ulsters (I think). Picture taken in 1939, Leicester England. Click on the picture to make it bigger. 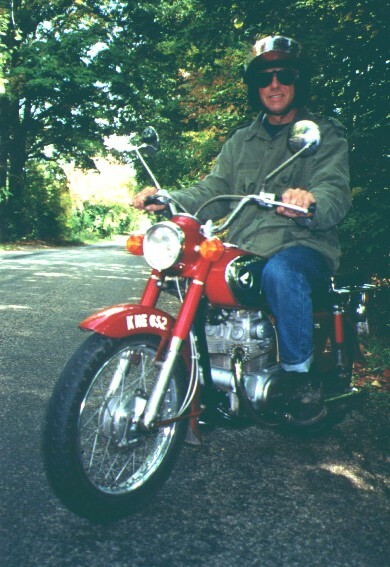 This is me on Red in 2001. I sent this picture to Cycle Canada with an article for the "First Person" section. They liked the article, but not the picture. My article was published in the February 2002 edition. Click on the picture to make it bigger. 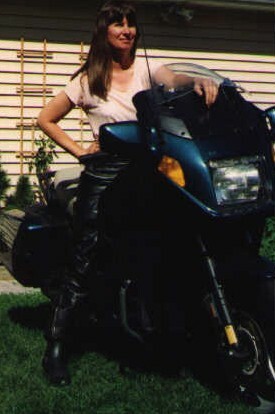 This is a picture of Mary Ann and the BMW back in 1993. After driving the BMW around a parking she decided it was too heavy and she didn't like the controls for changing gears. 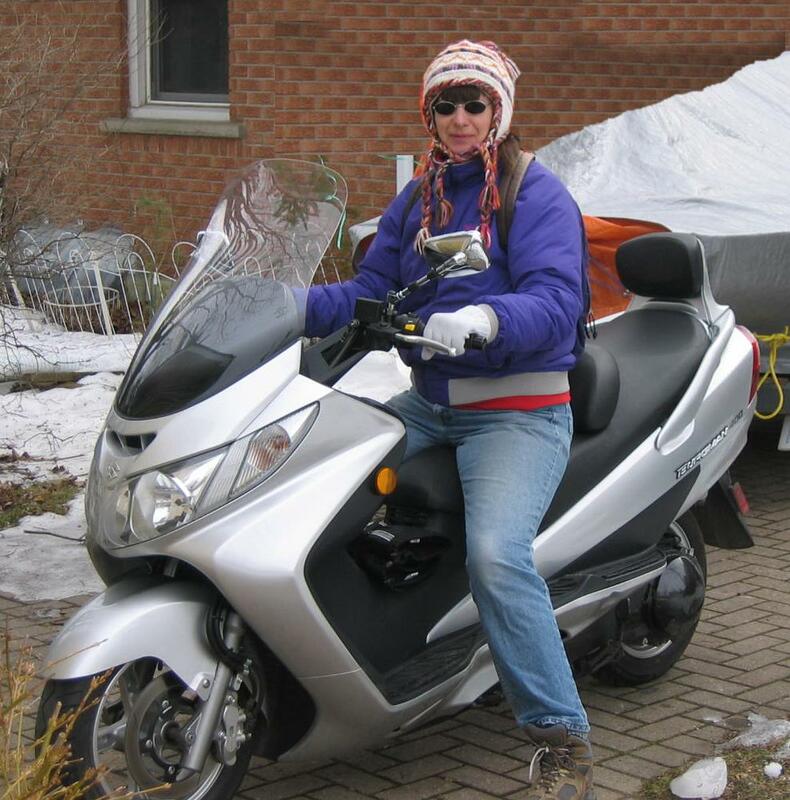 She bought a Suzuki Burgman 400 December 2006, and got her motorcycle driver's license in 2007. Click here for a picture of a Burgman. Click HERE for a video of Mary Ann driving onto a covered bridge. Click on the picture at the left to make it bigger. 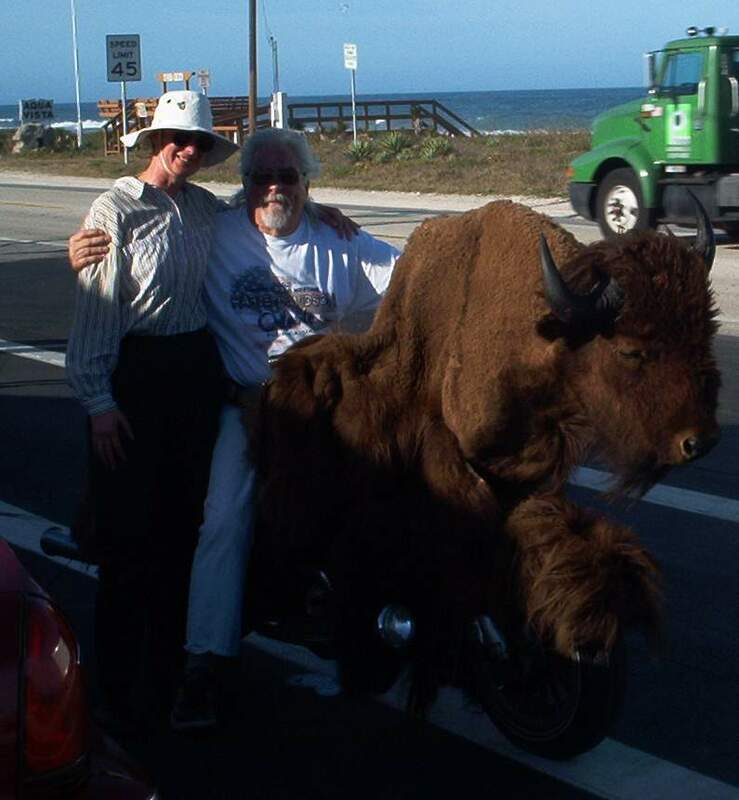 Mary Ann with Buffalo Ron (That's a bike in case you couldn't guess) at Bike Week 2002. For this and more pictures, click here BIKE WEEK. Some pictures I took in Sierra Leone 1969-1972, click here. Pictures of my trip to Baja in 2005, click here.